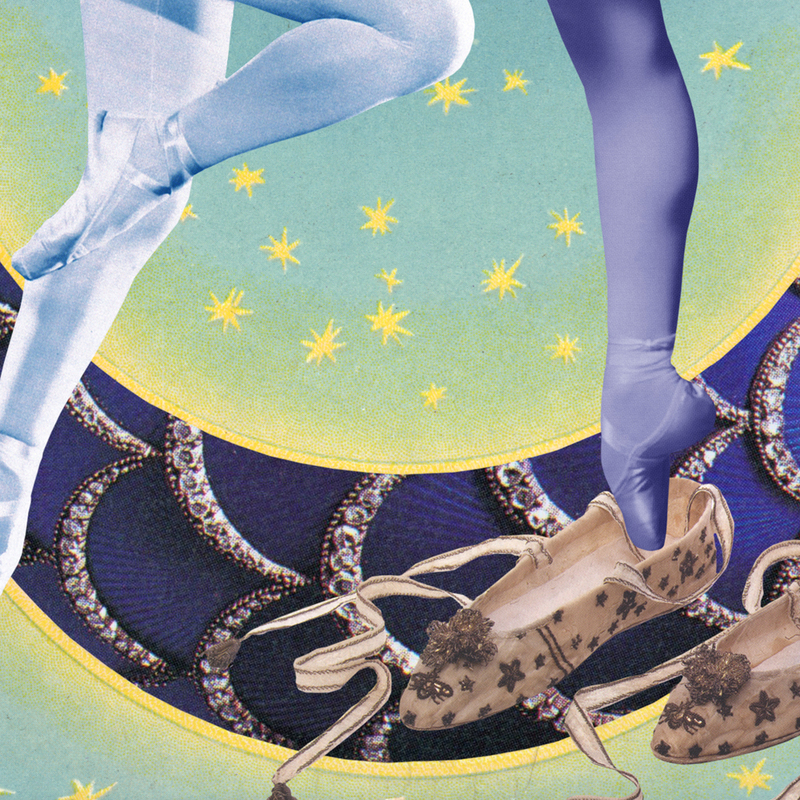 Especially for The Australian Ballet's Behind Ballet blog, we created several embellished collages with a fair dash of moonlight and midnight blue to celebrate George Balanchine's Ballet Imperial as part of Styling Ballet Imperial. 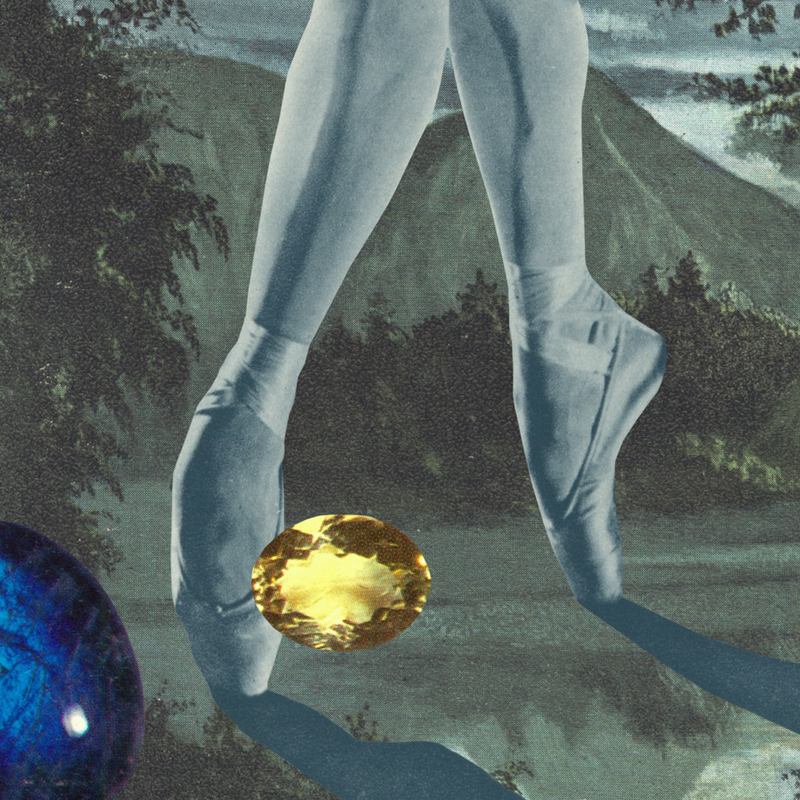 Who better to style George Balanchine’s Ballet Imperial than Gracia & Louise – not only creators (in tandem) of fanciful and exquisite things, but balletomanes too? And what better way to pique our Imperial Suite appetite, on the eve of opening night, than with these delicious creations? 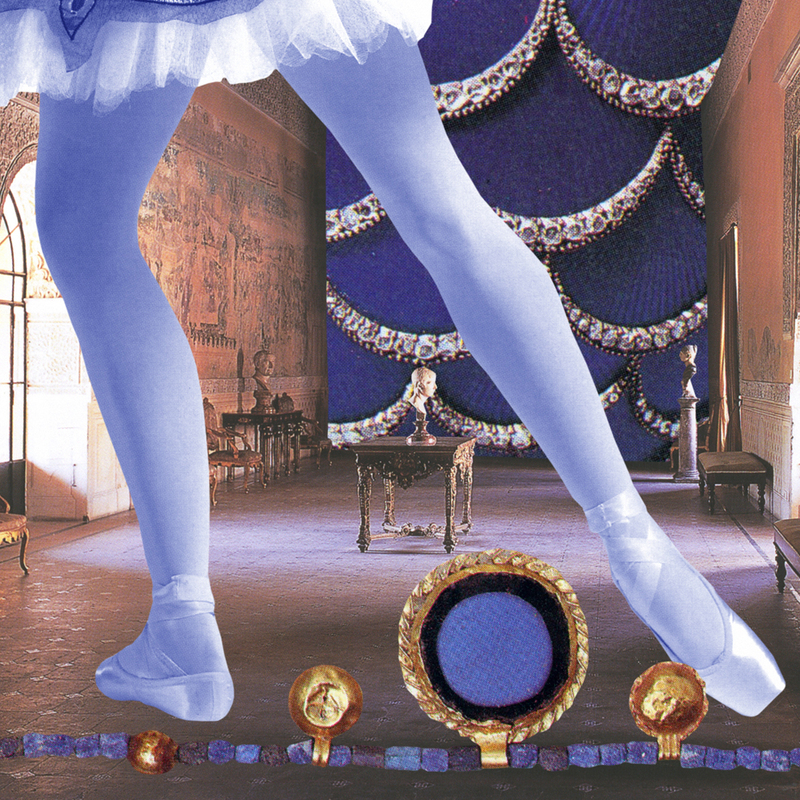 For our own suite of George Balanchine inspired Ballet Imperial collages, we have drawn upon, for our backdrop, the splendors of a midnight nightscape to echo the jewel-like costuming of the exquisite gold-dusted Mariinsky-blue tutus designed by Hugh Colman. For the suggestion of opulence, the grandeur of a palace, a cascade of precious stones both uncut and polished, alongside the bright three-filter colour film slides of Imperial Russia by photographer Sergei Mikhailovich Prokudin-Gorskii. Playing with ideas of all things recurring but taking new shape, nestled within these collages, Russian jewellery and rare blooms "to make the beautiful more beautiful". We have included the dancing feet of Juliet Burnett, Miranda Coney, Lucinda Dunn, Madeleine Eastoe, Robyn Hendricks, and Amber Scott, amongst others. 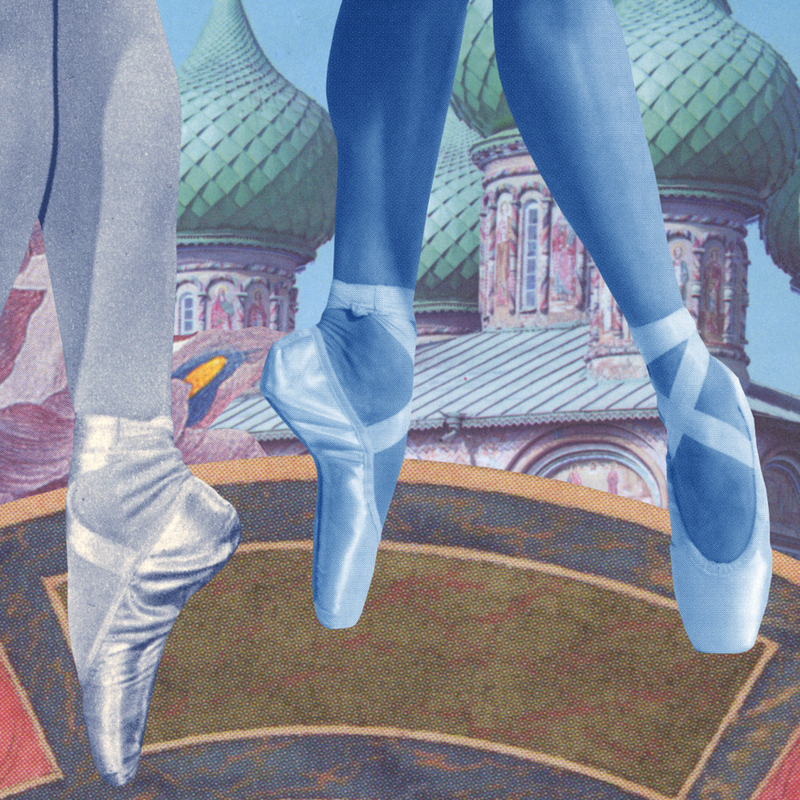 All these things and more we have tied together in giddy expectation as we count down the days until we see Balanchine’s one act tribute to Saint Petersburg, Petipa, and Tchaikovsky in late June. "See the music, hear the dance". We’ve not long now. 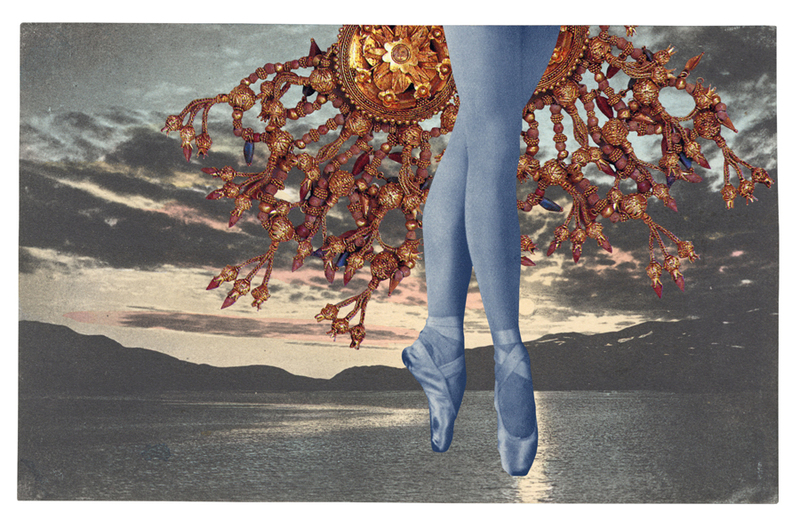 Who better to style George Balanchine's Ballet Imperial than Gracia & Louise?